Pokemon Go is the latest viral trend that’s sweeping the world. It is a free-to-play, location-based augmented reality game developed by Niantic. It was initially released in selected countries but is now available in more countries. The game is played using the mobile device’s GPS to find, capture, battle or train virtual creatures called Pokemon. They appear on the screen as if they were in the same real-world location as the player. It received mixed reviews but quickly became a global phenomenon and became one of the most used mobile apps with a download count of 100 million worldwide. In just a week it has become the most used app on the planet even passing Twitter! Obviously, like any other trends, there are going to be people who will push the limit. Pranksters and daredevils alike have all found unique ways to play this game. 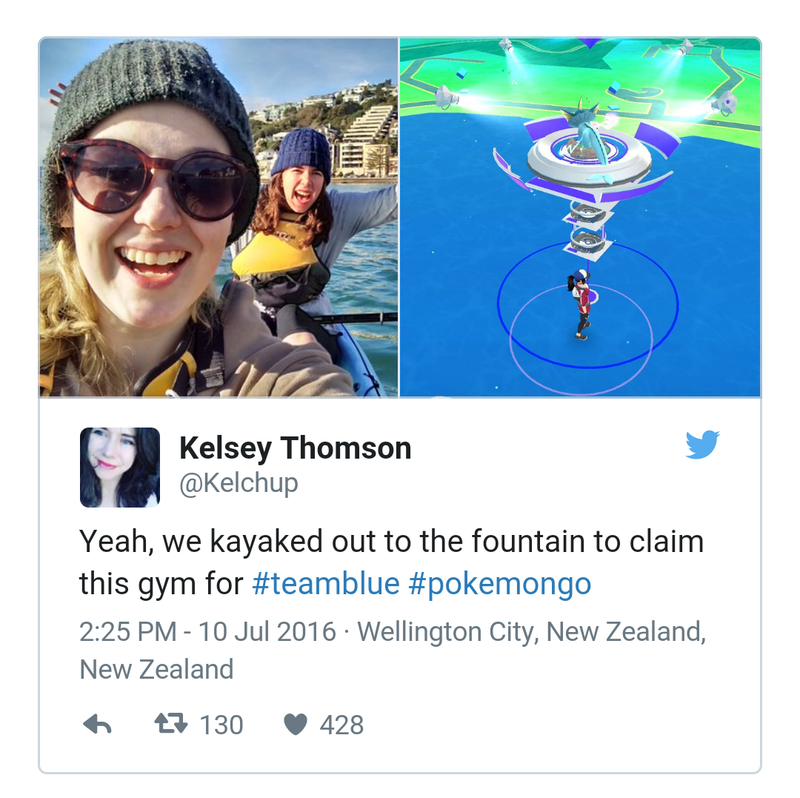 Here are the 18 Unimaginable Places People Have Caught Pokemon. We’re not sure what Kelcey was doing in the courtroom but we all know for a fact that it could get pretty boring in there. So her remedy? She pulled out her phone and played Pokemon Go! What else could she be doing that’s fun and entertaining right? 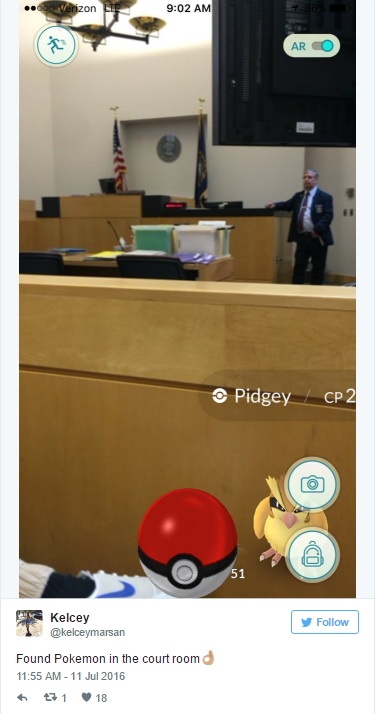 And we’re just as surprised as she is to find a Pidgey in the courtroom. The judge could be taking a while to make her verdict but Kelcey’s got it all covered. Even this Black Lives Matter protest wouldn’t stop this POGO enthusiast from having his POGO fix. No one comes between this guy and his Pokemon Go, even the police. I think that’s even scarier than the policemen. 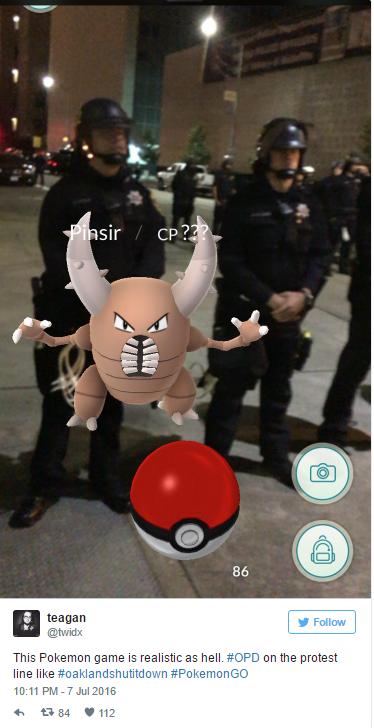 But if there’s something that we found out is that Pinsir’s are on the wrong side of the law. The US Holocaust Museum serves as the U.S.’s official memorial to the Holocaust. Who would have thought that the game developers would even put Pokemon in the area? To make things more awkward and ironic, a gas Pokemon named Koffing was found in the area. We’re not sure if there was a pun intended or it was just by chance but many people were outraged after finding it out. 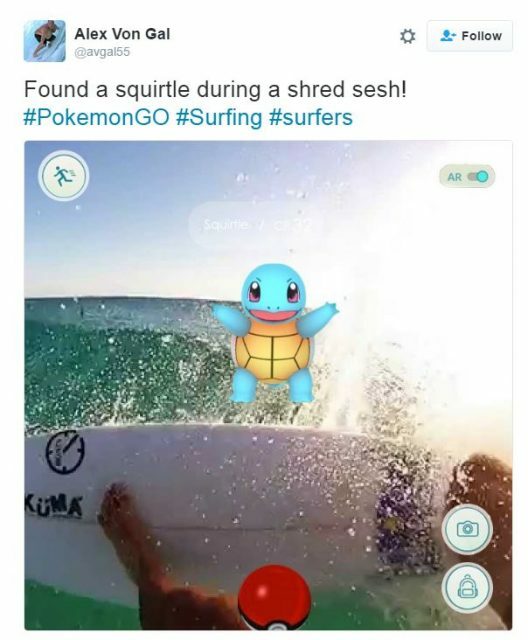 Here’s a Squirtle found by a POGO enthusiast and surfer. But this time, it’s shredding the waters. This surfer sure has a great balance to be able to surf and play Pokemon Go at the same time. When you gotta catch ’em all, you definitely gotta catch ’em all! There’s no downtime even during a water shred session. These girls wouldn’t let anything stop them from playing Pokemon Go. The dedication and enthusiasm these POGO players show are just as crazy as the game. Wouldn’t you agree with me? They are so passionate about the game that they even kayaked out to the water fountain to claim this gym for the blue team. That’s one point for the blue team!